How to make use of blog contests to attract visitors to your blog? Though extremely effective, majority of the bloggers don’t travel on the blog contest highway to increase unique and targeted visitors to their blogs. There are two reasons that come to my mind for this reluctance to tap the potential of giveaways for blog promotion. 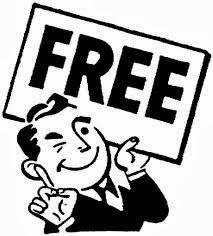 If there is one word in the Internet that attracts maximum clicks, it is the word “FREE”. From digital information to product samples, people love to take what is offered free, whether they want it or not. Do you know that there are literally thousands of people who constantly scour the Internet to find online competitions that offer monetary benefits as well as free products and discount offers in leading shopping malls? I am no exception. However, I like only digital information and I know how to make money out of it as an ‘infopreneur’. So, what is blog contest? You host a contest on your blog. It means you announce an event that ends on a particular date and you also declare the prize you would give to the winner. Let us say you have a Facebook page and you want it boast of ‘1000 Likes’. In order to encourage people to ‘like’ your Facebook page, you announce a prize which can be anything that you can afford to giveaway. You announce a starting date and an ending date. You publish an image of your Facebook page and link it too. When the contest has ended, you may draw the lucky winners (say three people from those who have ‘liked’ your FB page) and giveaway the prize. Once you have published the giveaway event on your blog, it is time to spread the word. If done the right way, you can expect a big spurt in traffic to your blog and to your Facebook page as well. I only gave an example of what a blog contest is. If you spend time to read blog contests announced in the place mentioned above, you will get inspiring ideas. Sky is the limit to be creative with your giveaway event. Where to promote your blog contest? Do a ‘Google’ and it will reveal many blogs and websites that operate solely to announce blog contests. I once published a blog post titled, ‘List of Giveaway Sites’. I have a page in Listly especially for Giveaway sites. View it by clicking on the link below. 62 places to list your giveaways. There are exclusive online directories for announcing blog contests. Online-Sweepstakes.com comes to my mind immediately because it is very popular and heavily-trafficked directory of online sweepstakes and contests. Forums are assured placed to get your blog contest noticed. They are constantly watched by people like me waiting to grab some free lunch. (Smile) ContestBlogger.com offers several forums for blog contests and online sweepstakes. There is a folder dedicated to sharing news and information about contests and sweepstakes, including blog contests, in the About.com Guide to Contests forum. What information is needed to submit to sweepstakes and giveaway directories and blogs? Can you get a sponsor for the prize? Yes of course but that depends on the popularity of your blog, the niche of your blog and the nature of the prize.